TradeGecko allows you to record customers’ purchase history and details about their preferences, so you can understand their future behaviors better. Billing details, postal addresses, average purchase types and sizes, can be recorded in a way that assists order management and provide them with a more personal experience. 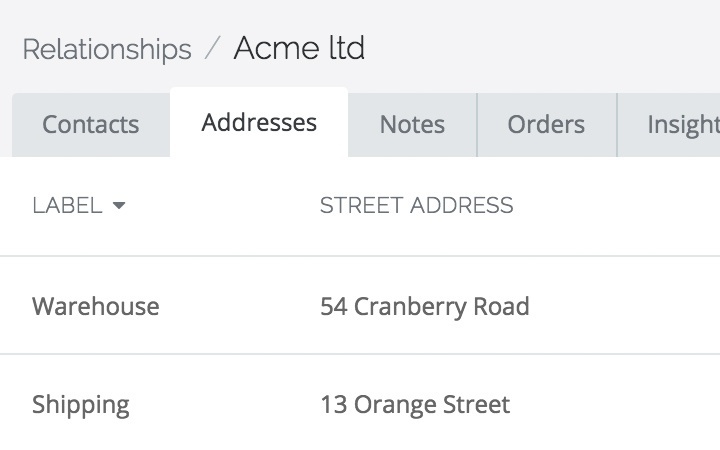 See all the orders with their details and status made by every customer in your database. See exactly when orders were created, emailed and even when the email was opened. 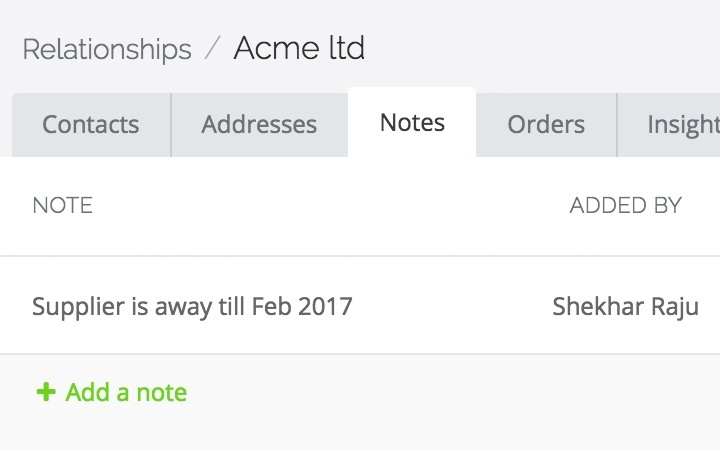 Assign notes to customers and suppliers. This way, you will ensure that no piece of information is ever lost in the process, or unavailable to team members that need it. 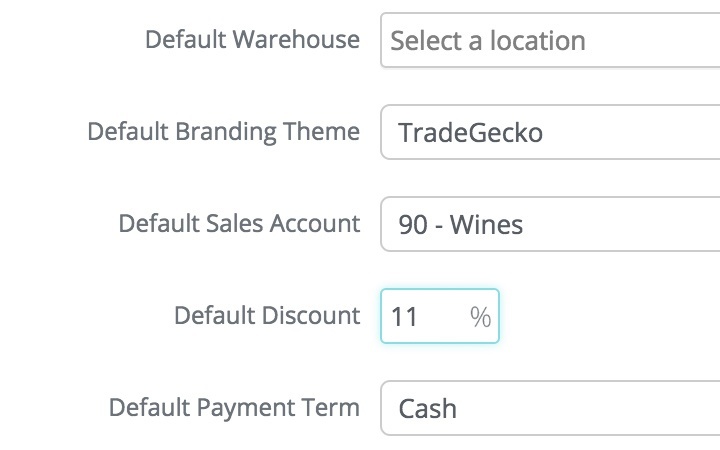 A default tax rate and discount level can be set for every company in your customer database. Your business can thus always give the correct discounts, reduce errors, and improve overall customer relationship management through automated discount rates in Customer Discounts. Set up any type of address you like i.e. 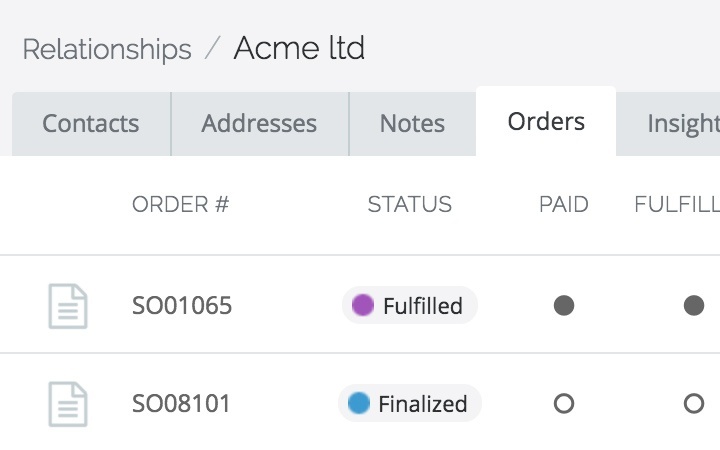 billing, shipping, warehouse – any address you need to better manage your customers shipments. Sensitive customer and supplier information is vital for your business. 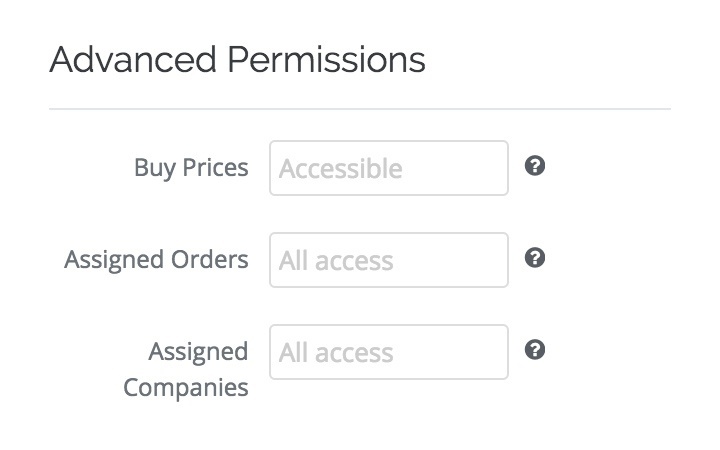 With TradeGecko, you can decide who in your team has access to the CRM and who’s not.